Join us on April 17th at noon is SD-G11! WASHINGTON, DC: The Council for Affordable Health Coverage (CAHC) – a coalition of employers, insurers, life science companies, PBMs, brokers, agents, patient groups, and physician organizations – will hold a Congressional briefing on Thursday, October 18th at noon in room 203 of the Senate Visitors Center (SVC) entitled, "VBAs 101: How Rewarding Value Can Improve Rx Affordability & Patient Care." More than half the country continues to believe addressing prescription drug affordability should be a “top priority” of lawmakers in Washington. The Trump Administration has outlined its plans in the recent “American Patients First” blueprint, while Democrats last year unveiled a “Better Deal” drug cost platform of their own last year. Consensus has been hard to come by, but Democrats and Republicans, employer organizations and consumer groups, pharmaceutical manufacturers and payors have rallied together around the notion of rewarding innovative payment models and embracing the shift toward paying for medicines based on value over volume. Value-based payment arrangements (VBAs) are already becoming more common in the private insurance market, and many believe they can improve affordability for Medicare beneficiaries and participants in other federal and state health programs – if Congress takes a few simple, important steps to help realize the full potential of these solutions. Join the Council for Affordable Health Coverage and a panel of expert guests on Thursday, October 18th at noon in SVC-203 at “VBAs 101: How Rewarding Value Can Improve Rx Affordability and Patient Care” to learn more. Lunch will be served. RSVP here. This is a widely attended event intended to comply with all Congressional ethics rules. Join us on Wednesday, July 25th at Noon in HVC-200. The ACA provides premium subsidies to help individuals afford health insurance coverage. However, the law only allows consumers to use their subsidies to purchase plans sold on publicly run exchanges, and it limits the private sector in their ability to help consumers enroll in plans. Total reliance on public exchanges has proven insufficient. Enrollment is lower than expected and consumers are facing fewer options and higher costs. 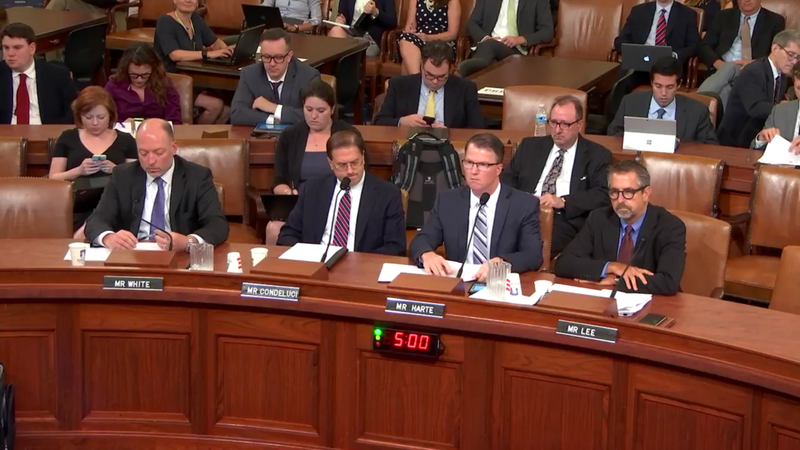 CAHC supports efforts to reverse these trends by stabilizing markets, encouraging competition and innovation, and expanding choices for consumers. At the briefing, we will present information on the current market and discuss an approach that leverages innovation in the private sector to increase choices for consumers and boost enrollment in 2018 and beyond. The ACA made massive changes to health markets – some positive and some negative. It created new consumer protections, corrected market imbalances, and reduced the number of uninsured Americans to historic lows. Yet, overreach by the ACA has also contributed to high and growing health insurance premiums, marked by average double digit price increases on exchange plans both in 2016 and 2017. Plan choice and competition have declined. CMS data shows that insurers’ losses eclipsed gains and 65 fewer issuers are available to consumers in HealthCare.gov states for 2017. ACA’s risk pools are seriously unbalanced. Total ACA exchange enrollment is projected to be 10 million at the end of 2016, or slightly less than half of the 21 million originally estimated by CBO. Enrollees have turned out to be sicker and older than expected. The result has been an unstable and expensive market that is driving away many of the healthy consumers the exchanges need to attract to hold coverage costs down over the long term. CAHC supports efforts to stabilize markets, encourage competition through robust plan participation, and expand choices for consumers. To do so, repeal and replace must be paired with short-term market stabilization policies. This briefing will provide background on the Budget Reconciliation process, an explanation of why short-term market stabilization is needed, and recommendations on top policy priorities we believe should be included in a repeal bill or as part of regulatory policy early this year. The House Committee on Ways and Means held a full committee hearing on Tuesday, July 12, 2016, to discuss rising health insurance premiums under the Affordable Care Act (ACA). Initial reports from states that have released premium data suggest that rates for many insurance plans are expected to increase significantly next year, much higher than prior increases in 2015 and 2016. The Council for Affordable Health Coverage (CAHC) held a briefing on proposed 2017 health plan premiums on the ACA’s insurance exchanges. 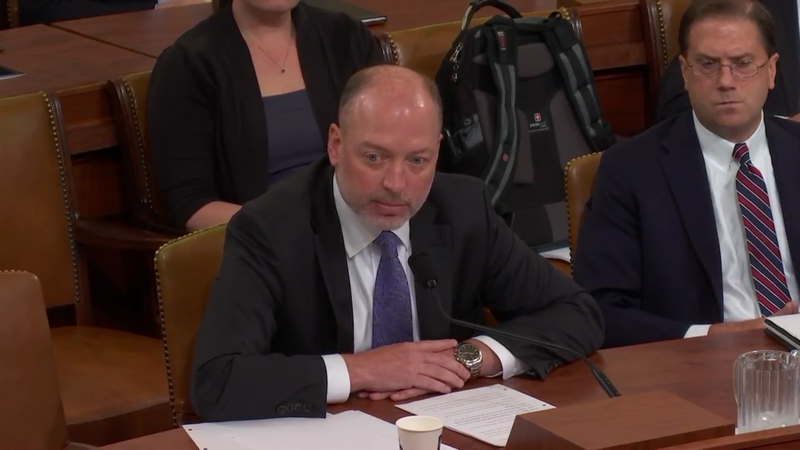 The briefing provided background on insurance exchange rate filings, an explanation of why premiums are increasing, key factors to keep in mind when examining proposed premiums for next year, and recommended policy considerations to hold down premium rate increases. The Council for Affordable Health Coverage (CAHC) hosted a briefing on health insurance exchanges. Public health insurance exchanges are online, health insurance marketplaces set up by the U.S. federal government, and by certain states, where individuals and small businesses can shop for, compare, and purchase private health insurance. Although the consumer experience shopping for health insurance on the public exchanges was supposed to be akin to using Kayak or Amazon.com, many consumers faced massive problems, including technical challenges, with eligibility and enrollment at their launch. Taxpayers have footed the bill for websites that have been available in the private sector for decades. The CAHC briefing explored key challenges and limitations of existing exchanges, and new policy approaches to let the private sector take on some of the exchange functions currently exclusively provided by federal and state governments. Jeff Smedsrud, Chief Executive Officer and Co-founder, Healthcare.com, Inc. Prior to the Supreme Court decision, CAHC hosted a Congressional briefing to review the King v. Burwellcase and to offer a policy alternative if the Supreme Court struck down parts of the ACA. Senator Bill Cassidy (R-LA) and House Budget Committee Chairman Tom Price (R-GA) presented and discussed their policy proposals to address the potential issues caused by a ruling in favor of King. Tamara Killion and Tom Haynes reviewed the Supreme Court case. It’s harder than ever for consumers to navigate the healthcare marketplace. The Affordable Care Act requires consumers to buy health insurance or pay a fine. But its own health insurance exchanges don’t provide enough information for consumers to make informed choices. It’s nearly impossible to figure out whether a health plan covers a certain prescription drug or a particular doctor. Waste accounts for one-third of all healthcare spending. Eliminating that waste could save consumers more than $1 trillion. Medicare is holding hostage troves of data that could help us determine which procedures work best for different patients — and which don’t. Freeing that data could empower us to save trillions and improve care. On April 9, 2015, CAHC launched“Clear Choices,” a new consumer-industry coalition dedicated to making health markets more transparent, accountable, and consumer-friendly. Washington, D.C., June 19, 2014 – The Council for Affordable Health Coverage (CAHC) is pleased to announce that Representatives Tom Reed (R-NY) and Mike Thompson (D-CA) will jointly receive CAHC’s first annual Affordability Champion Award for their bipartisan leadership in repealing the small group deductible cap, a provision of the Affordable Care Act. The Award honors members of Congress for holding down health costs through bipartisan, commonsense solutions. The repeal was included in H.R. 4302, the Protecting Access to Medicare Act (P.L. 113-93), which became law on April 2, 2014. The Act codifies an administrative determination by the Obama administration that implementation of the small group cap was impracticable. The Affordable Care Act capped the maximum deductible for small group health plans at $2,000 for individuals and $4,000 for families. This limit applied only to employers with fewer than 50 workers, however; policies issued to large employers and individuals were unaffected. This year, only about a third of small employers chose plans with deductibles lower than the ACA’s caps. An analysis prepared for CAHC by Avalere, an economic consultancy, found that at least 27 percent of covered workers would have seen their premiums rise as a result of the cap. The new law protects against erosion in employer sponsored coverage and save taxpayers money. Avalere estimated that repeal of the caps would translate into 56,000 fewer workers receiving government subsidies on the ACA’s exchanges, saving taxpayers $1.2 billion over ten years. The Council for Affordable Health Coverage is a broad-based association of organizations representing consumers, physicians, small businesses, large employers, manufacturers and retailers, franchises, insurers, brokers and agents dedicated to the principle that health coverage should be affordable for all Americans.